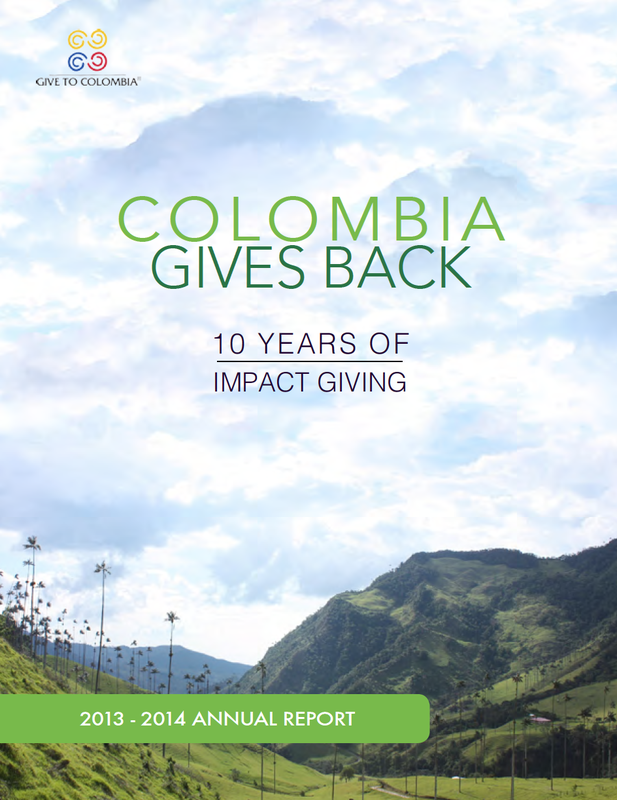 2013 was a benchmark year for Give To Colombia, marking the conclusion of our first decade helping Colombia’s most vulnerable populations in the areas of Education, Economic Development, Health and Environment. Organizationally, we have restructured our team and reinforced our efforts to better communicate our impact while intensifying our collaboration with the local foundations to more closely help them implement projects. Our aim is to continue being a model for other non-profit entities, a hub for sharing ideas and intelligence, and a space for fostering collaborations in benefit of Colombia. Through the services provided to our donors, we awarded $1.8 million in grants in 2013 in the areas of Education, Economic Development, Health and Environment. We believe these sectors are essential for the development of Colombia and the reduction of inequality. We are thankful to our donors for their commitment to philanthropy and for creating a positive impact in the lives of thousands of Colombians and their families.